Apart from Buddhism, Christianity and Islam, indigenous religions that emerged during the colonial period, Cao Dai and Hoa Hao, have their followers. As such, Christian churches, Buddhist temples, and spirit shrines are a common sight all over Vietnam. 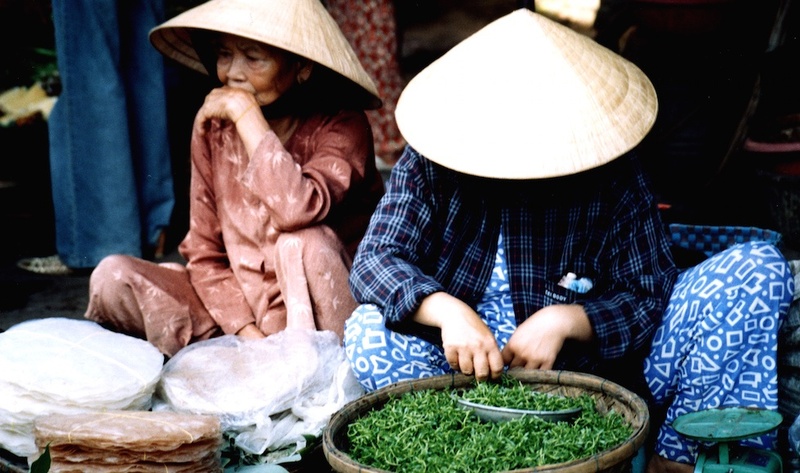 Vietnamese is the official language and most widely-spoken in Asia’s eighth most-populous country. Northern and southern dialects differ slightly and each variant is an important symbol of regional identity in social contexts, while ethnic minorities speak their own indigenous languages. English is the most commonly-learned second language. Vietnam’s architecture reflects different phases of its history. The Citadel and other imperial structures, like the mausoleums of former emperors are remnants of the Vietnamese monarchy in the city of Hue, capital of the Nguyen Dynasty. Designated as World Heritage Sites, these have undergone extensive renovations to repair the damage received in the 1968 Tết Offensive. A legacy of colonial architecture in public buildings and private homes was left by the French in Hanoi, Hue and Saigon during their century-long Occupation from the 1850s. New architectural variations with American-style buildings and concrete dormitory housing have since emerged. Vietnamese rural villages in the lowland river deltas see family compounds featuring one or more rectangular houses made of brick and mortar in clusters of nuclear or semi-nuclear settlements, mostly used for drying rice amidst agricultural fields. You might see dense stands of bamboo that demarcate boundaries between villages. Ethnic minorities in the highlands live in thatched houses or homes raised on stilts, with demarcations by age or gender. Thatched houses are also a common sight in the poorer central provinces of Nghe An and Quang Binh. In the lowlands, a variety of sacred spaces, such as Buddhist temples, spirit shrines, lineage halls and sacred spirit’s altars, can be found in villages. Monuments of the war and revolution are present in nearly all lowland communities; these include cemeteries and cenotaphs in towns and villages as well. Polite behaviour is highly valued, especially towards one’s elders and the Vietnamese use hierarchical terms of address in conversation. The common salutation, “chao”, should be first issued by younger people, who should also invite their seniors to eat before they do, ask for permission to leave the house and not speak in a domineering or confrontational manner with them. Close physical proximity (including behaviour like hand-holding) is common between people of the same gender, but not between unmarried or unrelated males and females. Most Vietnamese avoid standing in queues, resulting in very little personal space as people jostle and press up against each other in public spaces. Modesty in terms of mannerisms and dressing is generally encouraged. Communist paraphernalia purchased in Vietnam may be frowned upon when displayed publicly outside the country, so purchase such souvenirs at your own discretion. Sensitivity should also be exercised when talking about the Vietnam War, during which over three million Vietnamese lost their lives.